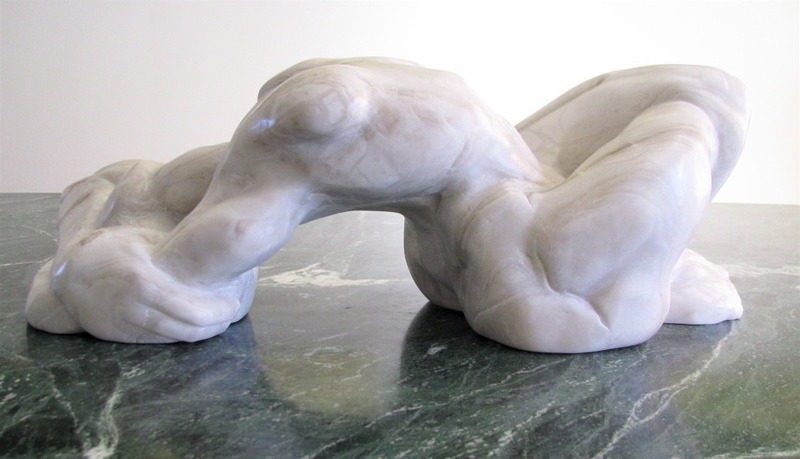 Prior to my MFA I had ideas and directions in art that I abandoned in the hostile academic environment. 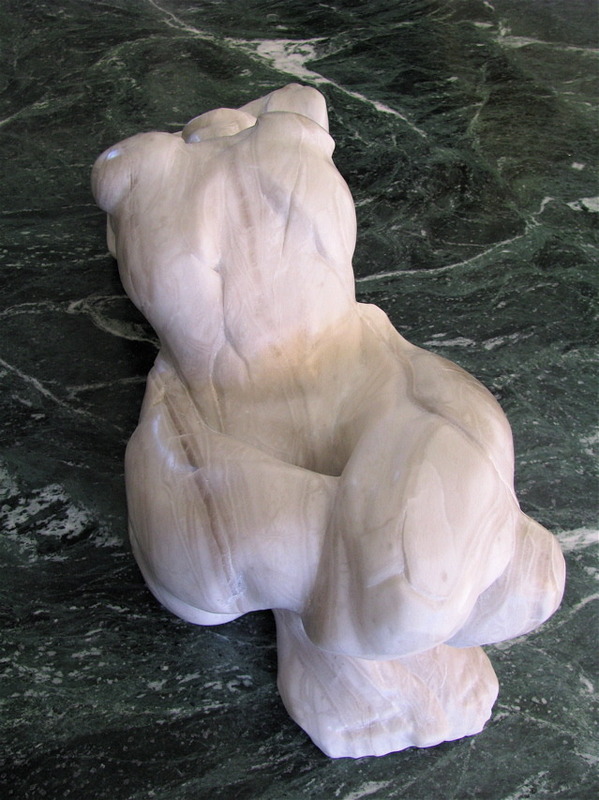 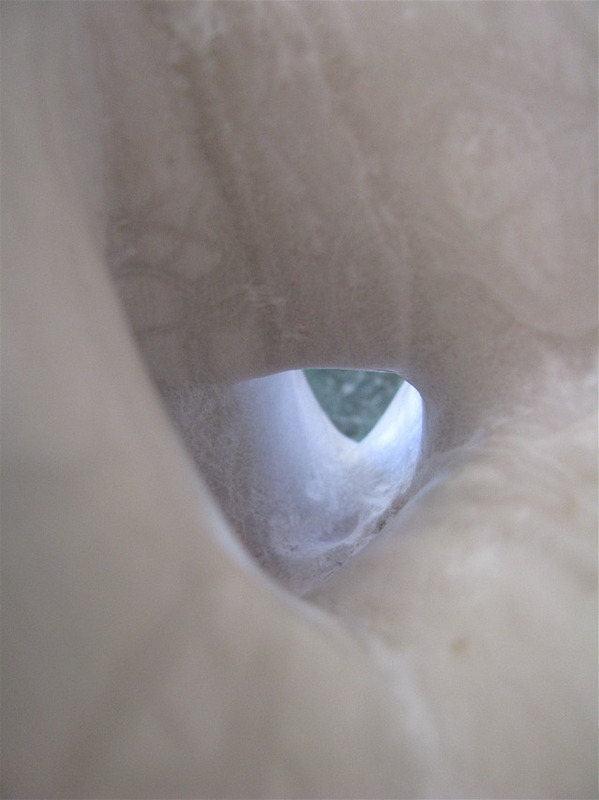 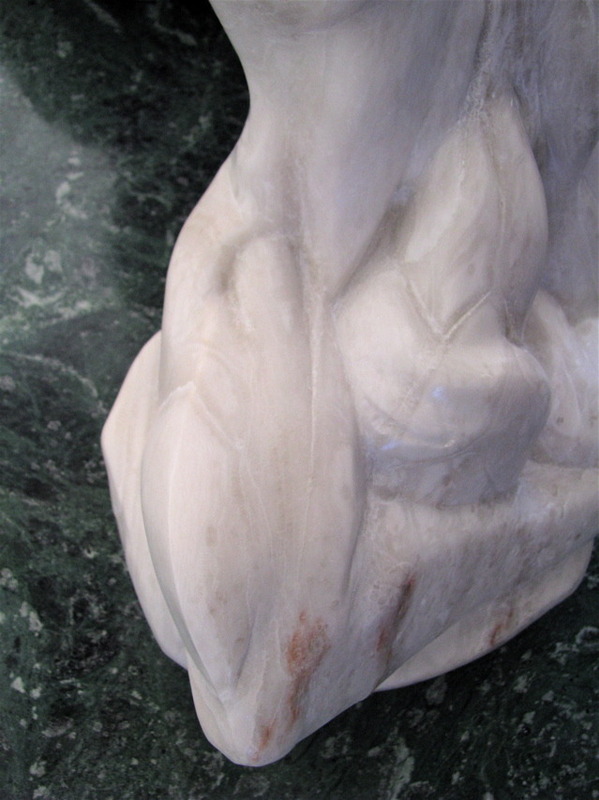 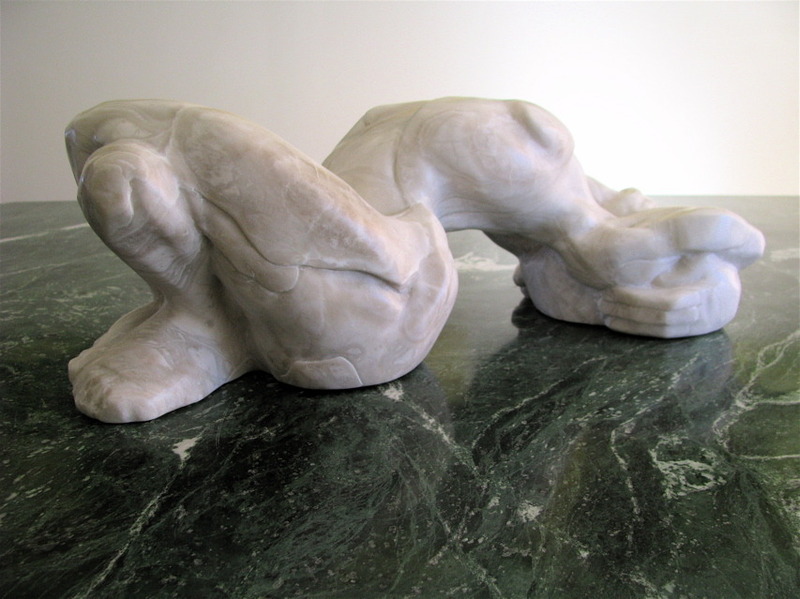 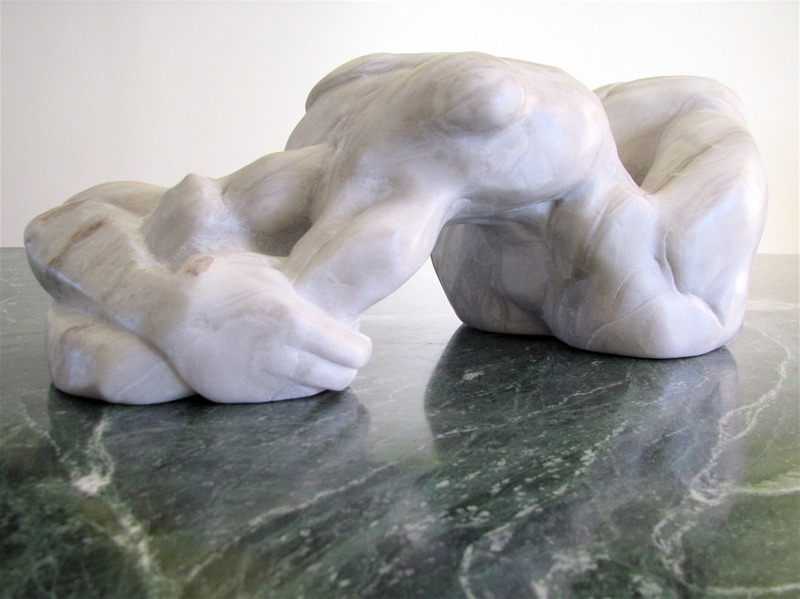 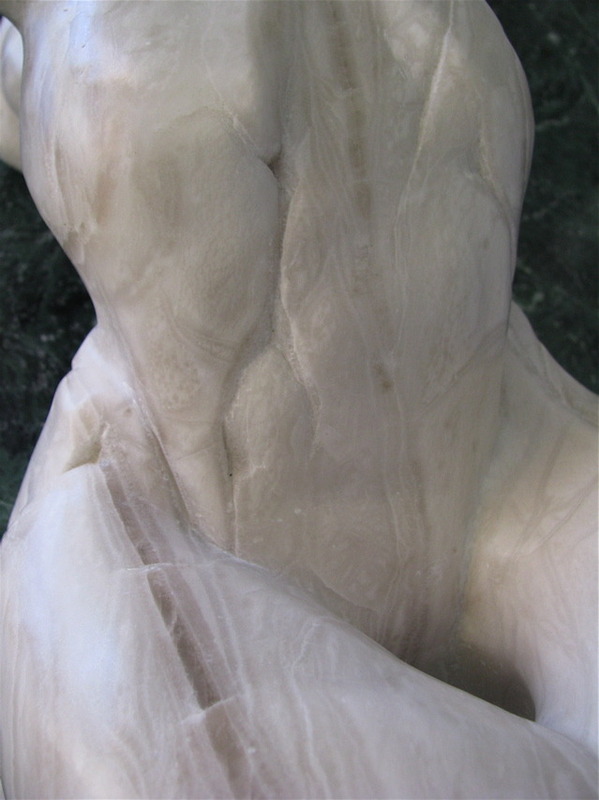 I had thought this form was completed long ago, but last fall I pulled out three alabaster forms to re-investigate. 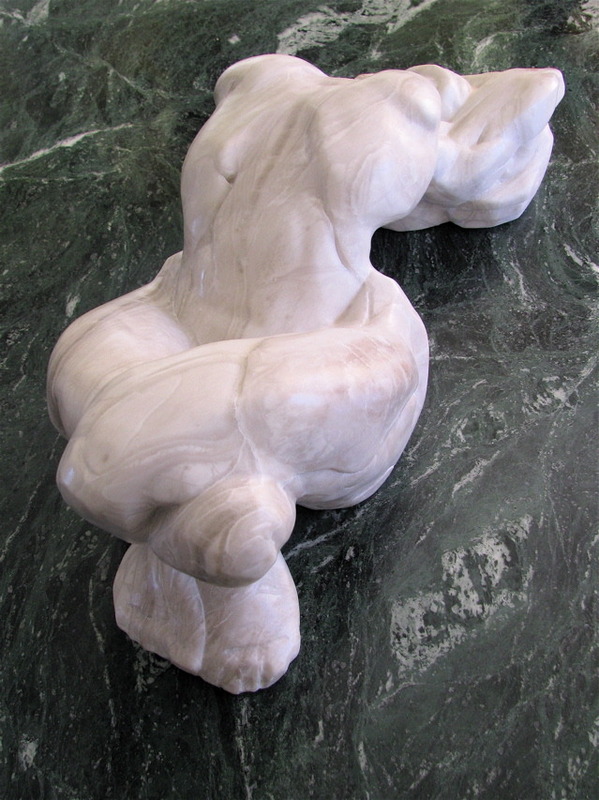 This figure is now at the tipping point of abandoning form for shape. 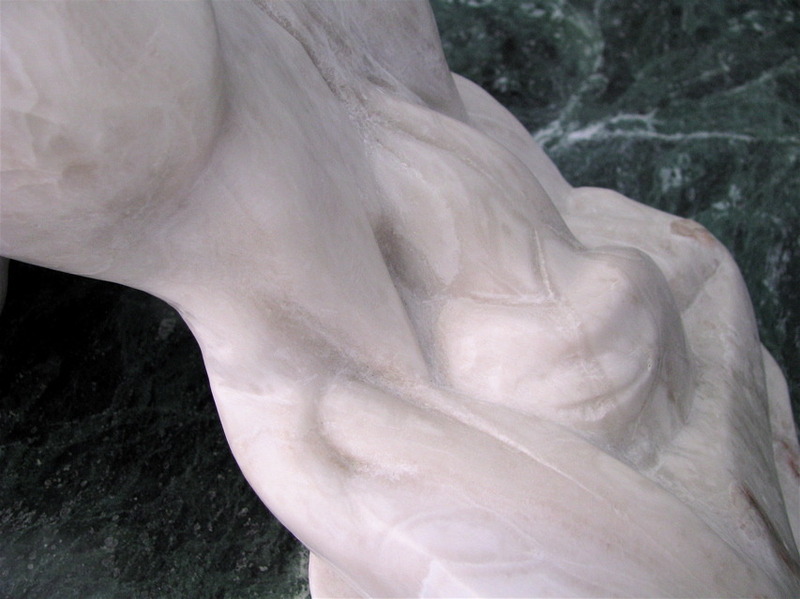 There is a clear avenue of carving an entirely different form that this form has revealed- but creating that form would destroy this one. 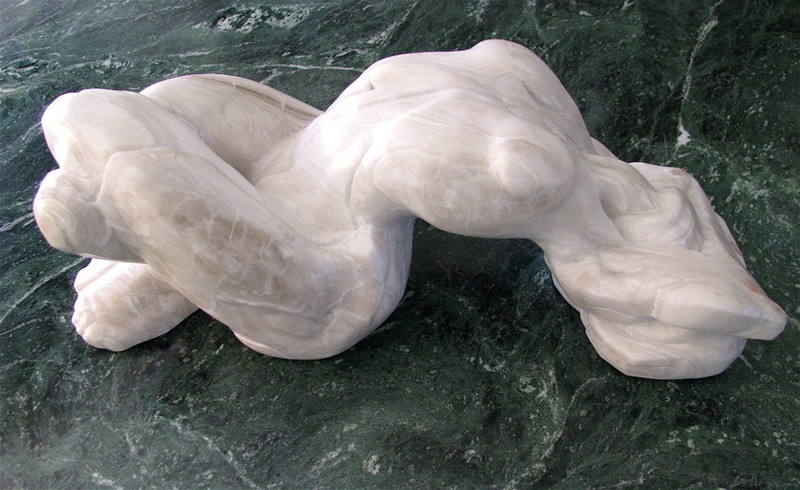 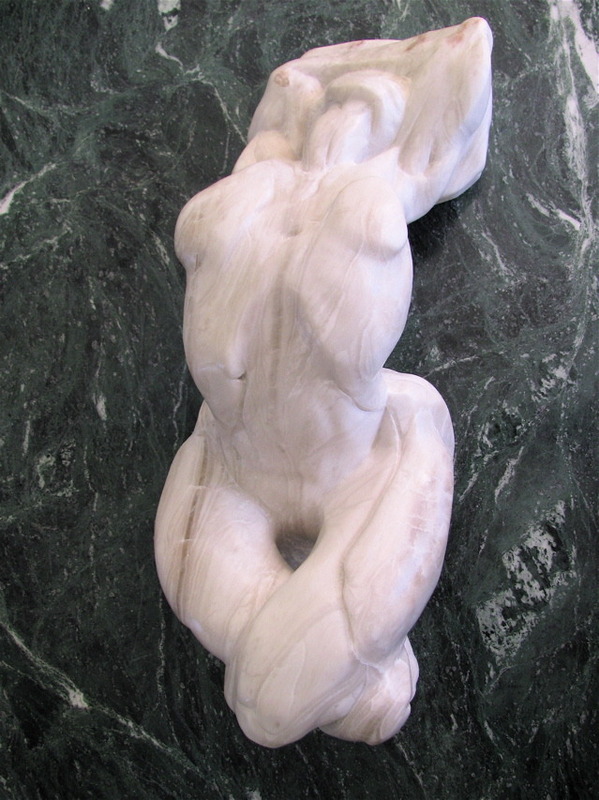 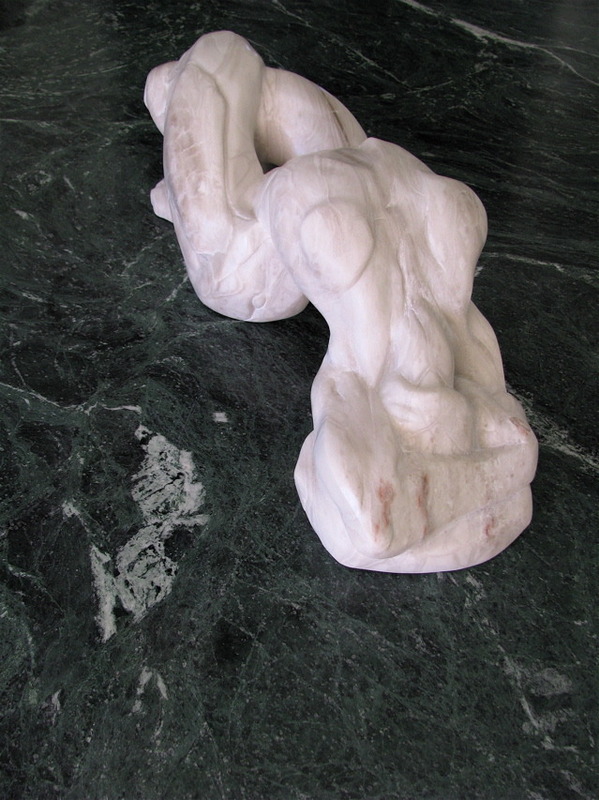 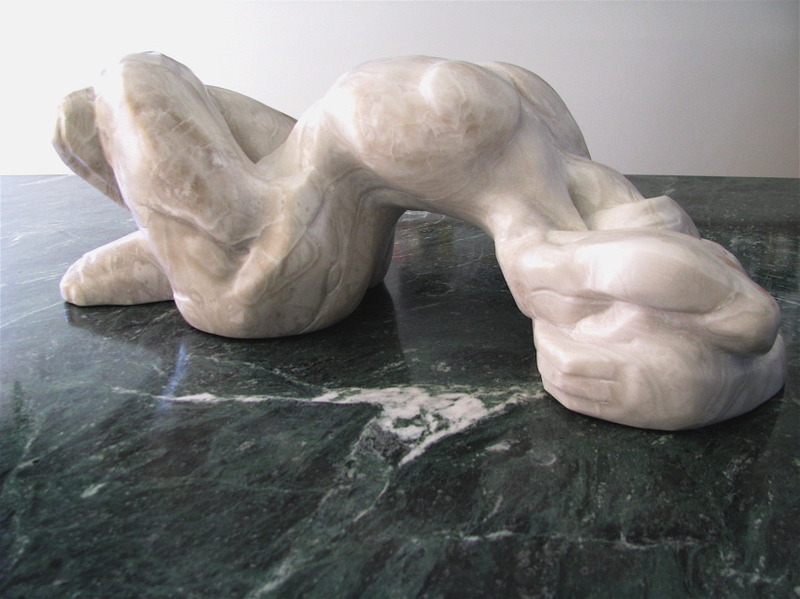 To pursue the emerging structure should be relegated to another sculpture altogether, wherein I would recreate this stone form in porcelain clay and reduce from there. 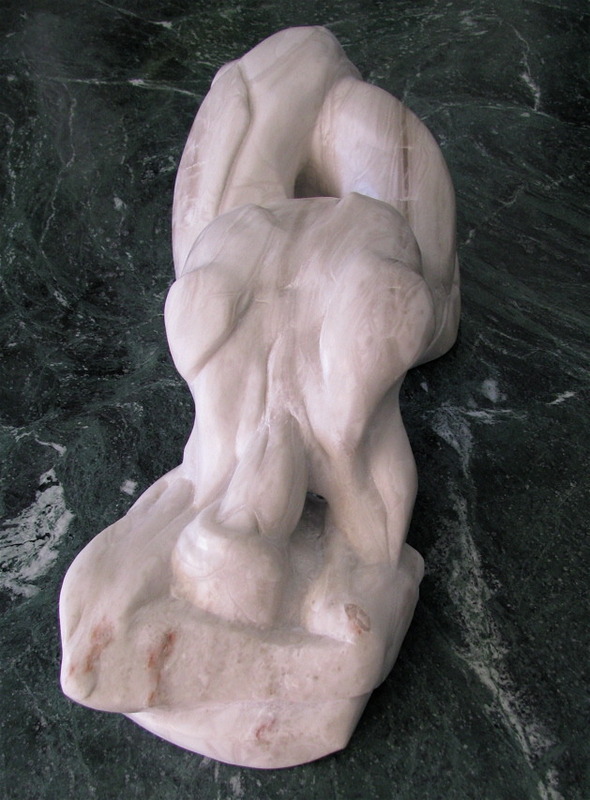 That would be too much like a formal exercise. 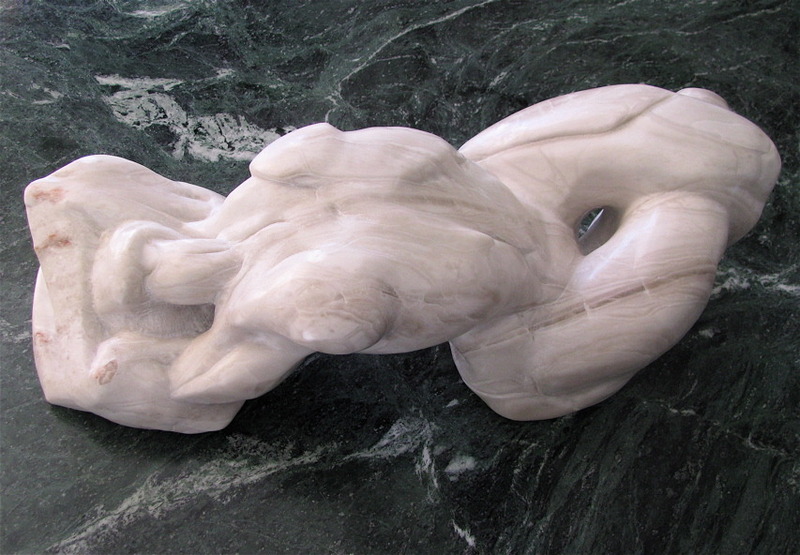 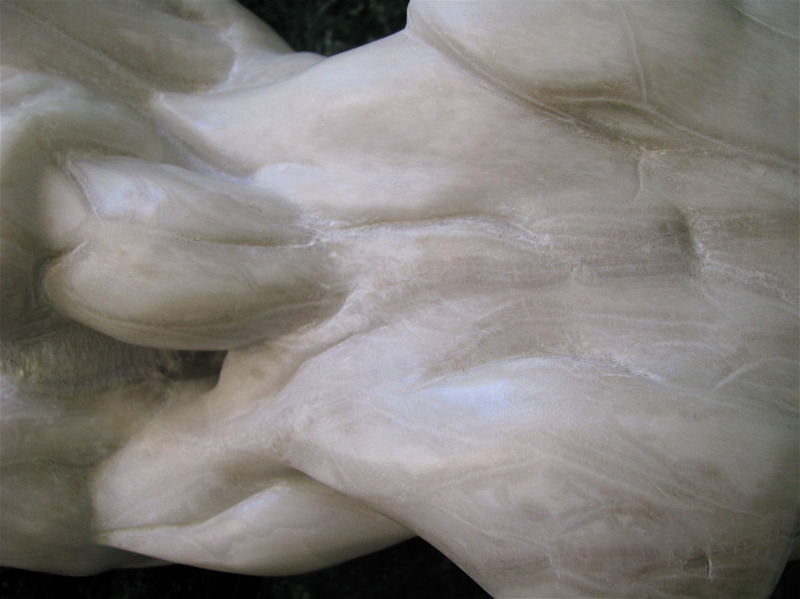 I would rather begin a new work in stone, driving toward the new form, and letting the new stone direct the new form as much as this piece was derived from the character of the particular stone it emerged from.